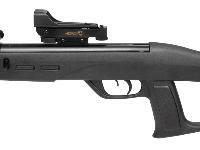 Gamo's Recon Whisper has been redesigned and equipped with a green dot sight to make shooting even more enjoyable. 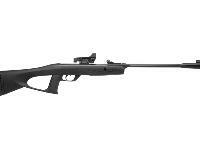 This gun is part of Gamo's Youth Precision Airgun line. 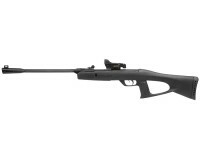 The Gamo Recon G2 Whisper air rifle has a lot going for it, including its light weight. 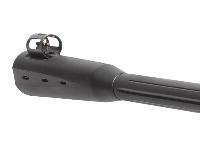 It shoots pellets (either lead or alloy) and is great for instruction as well as hours of shooting entertainment. 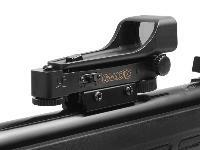 You can use the included green dot sight or start with the open sights. In fact, most shooting instructors recommend starting with open sights. 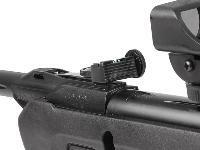 Once the shooter is accomplished in using them, mount the dot sight. 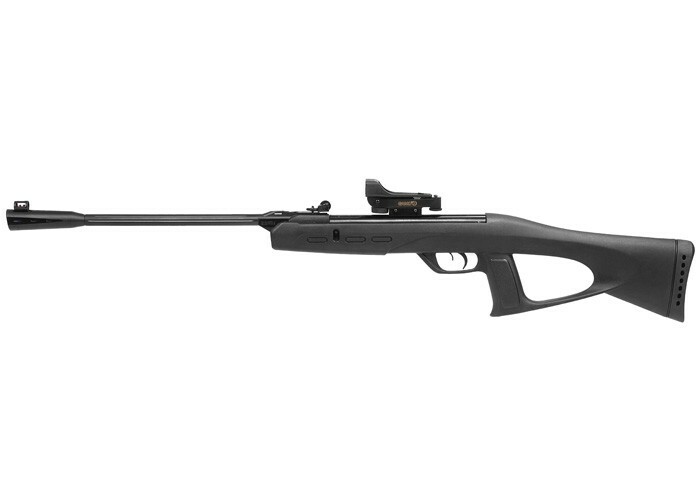 Because of the dual sighting systems shipped with this air rifle, you'll be able to move your shooter along and help him progress to a higher level of marksmanship without having to trade up to another rifle. Remember to pick up some targets -- not just paper bullseye targets, but also some reactive targets that immediately deliver feedback to the shooter without having to go downrange to see what happened. 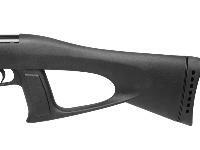 Lastly, this is a pellet rifle. Unlike guns that shoot steel BBs, the ammo from this rifle has a significantly lower chance of ricocheting and bouncing back to the shooter. That said, everyone (not just the shooter) should wear safety glasses. Remember to remove all pets from the area to avoid any ricochets hitting them. The range is hot. Fire when ready! Things I liked: It was sighted in at ten yards. I shot groups at ten, 15, 20, and 25 yards. The groups were pretty consistent at each distance. The rifle is easy to break open. The scope cants to the side but it's accurate. The spring makes a different kind of sound that I'm used to. Pellets go in easily. You could be a little more snug. The trigger seems pretty good. Adjustable sites are reliable. It's a good value for the money. I got mine reconditioned. Things I would have changed: Having a scope it doesn't cant seems reasonable. What others should know: With lead pellets the feet per second are about 475 FPS. What others should know: Can not beat what you get for your dollar with this one! This gun is advertised with a max speed of 750 FPS. What speed does it shoot at with lead pellets? 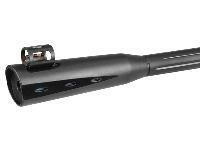 Does this rifle have a scope pin hole to help lock the scope in place? The Gamo USA website indicates the cocking effort is 19 pounds; however Pyramyd Air indicates 30 pounds, which is correct?